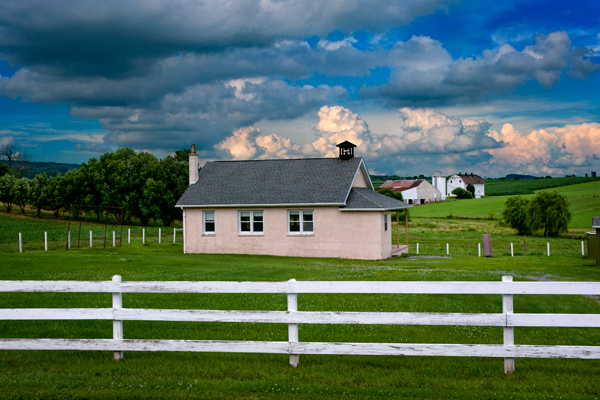 This telephoto shot compressed the distance between the one room school-house in the middle and two Amish farms in the background. 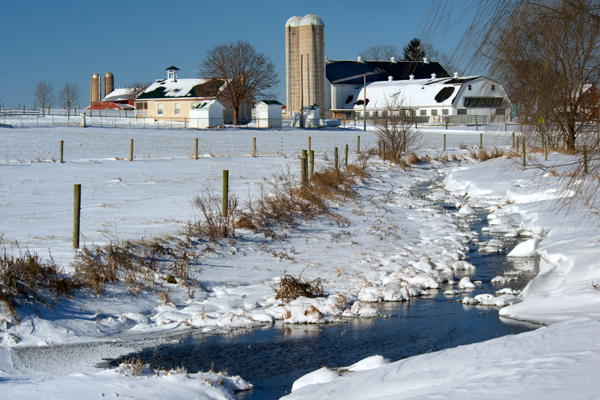 I find it humorous how modern schools have closed several times due to low temperatures,yet Amish kids still walk to school and attend on the days public schools are closed. 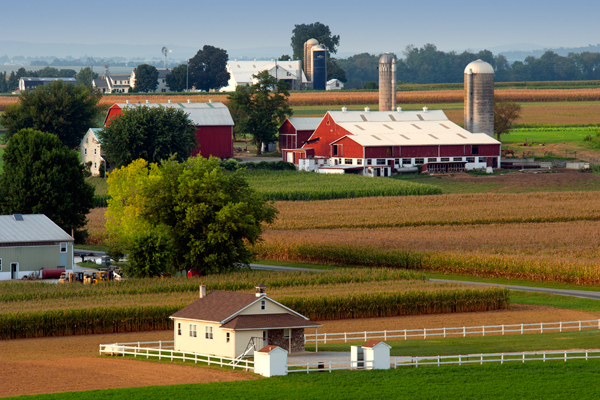 I spoke to an Amish friend and he told me ”we love our children just as much,we just don’t think they need to be sheltered from every adversity”. 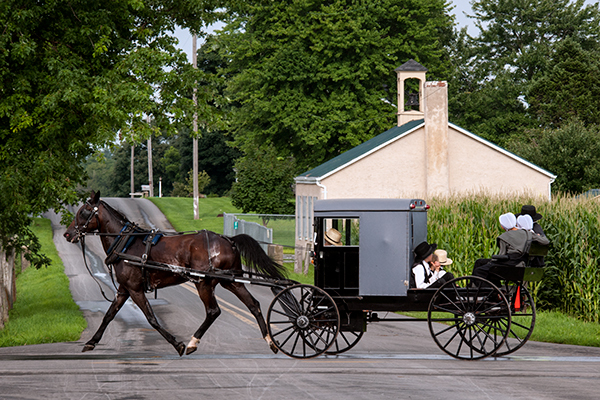 Some people wonder how the Amish can live without all the modern gadgets,yet they have things many can only dream of,like contentment, humility and the list goes on and on. 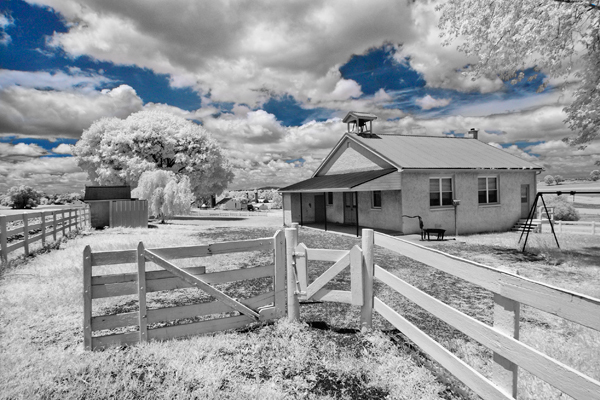 Imagine sitting in the outhouse at that school in minus 10 degree weather,and you can bet you would take care of business in a timely fashion. 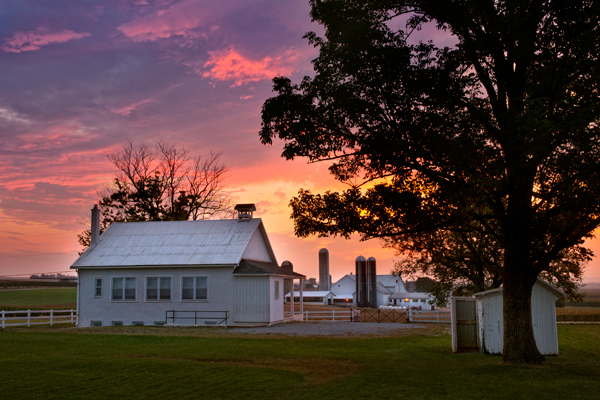 Dawn breaks at a one room school,which will be active with Amish children in a few hours.A farm in the background and an outhouse on the right,round out the composition. 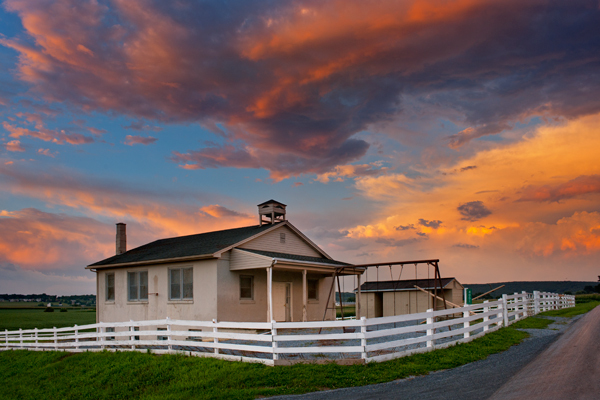 A lovely evening draws to a close as a gorgeous sunset paints the sky behind a one room school.